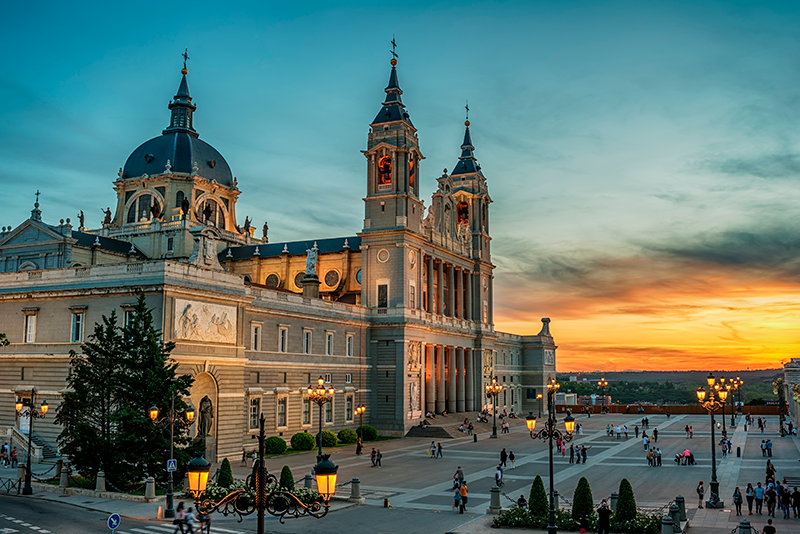 The Holy Week (just before Easter) is coming closer and, with it, we have the opportunity not only to enjoy a number of religious and cultural activities, but also to go out and discover some sacred art in the city of Madrid. Of course, this is a very broad topic, so this post is just a taste. We start our tour at San Antonio de los Alemanes church, a 14 minutes’ walk from Génova 5, to visit a temple with a restrained façade but which is a good exponent of Madrid’s Baroque inside. Philip III founded this church in 1606, as a part of a Royal Hospital for Portuguese patients first and for German immigrants later, hence the name (Alemanes = Germans). It stands out for its frescos, the dome and the main altarpiece, dominated by a sculpture of Saint Anthony of Padua. Moving south, we soon get to the Descalzas Reales’ monastery and, very close to this, San Ginés de Arlés church. The former, an old palace turned into a convent in the 16th century, holds important relieves, statues and paintings. As for San Ginés, the church treasures works of different periods and styles in its many chapels. Leaving San Ginés, we go down Calle de Bordadores and into Calle Mayor. One last turn right into Calle de Bailén takes us to the magnificent cathedral of Santa María la Real de la Almudena. You can visit the cathedral and also its religious museum. There are other significant churches within walking distance from Génova 5. For instance, if you go west, you can visit the Comendadoras de Santiago’s convent and Santa María la Real de Montserrat church, while heading south-west you will get to the Mercedarias Descalzas de la Purísima Concepción’s convent and the Royal Monastery of the Incarnation. In addition to those artworks preserved in churches, the Prado Museum displays an interesting collection of religious art, with paintings by Tintoretto and Cajés, among others. And if you wish to delight your ears as well as your eyes, these days you can also attend sacred music concerts in different churches, which are normally for free. However, you can also buy tickets for the XXIX International Festival of Sacred Art, which is being held from March 7 to April 13 in a number of settings.